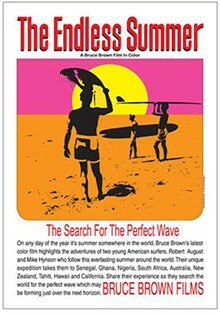 Robert August "1994 Local Hero"
Robert Alan August was born in Hermosa Beach in 1945 and grew up just down the California coast in Seal Beach. 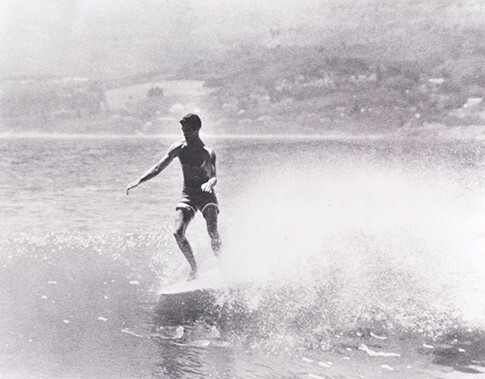 His father, Orral "Blackie" August, was both a surfer and a lifeguard at nearby Redondo Beach and was one of the first surfers to ride its waves. 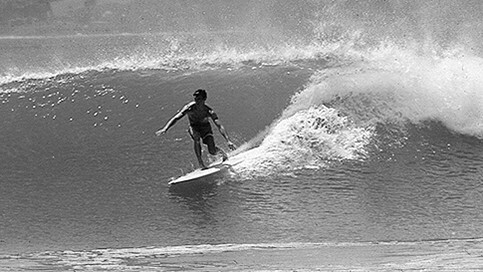 Blackie had Robert surfing at the age of six on the nice breakers at Seal Beach. 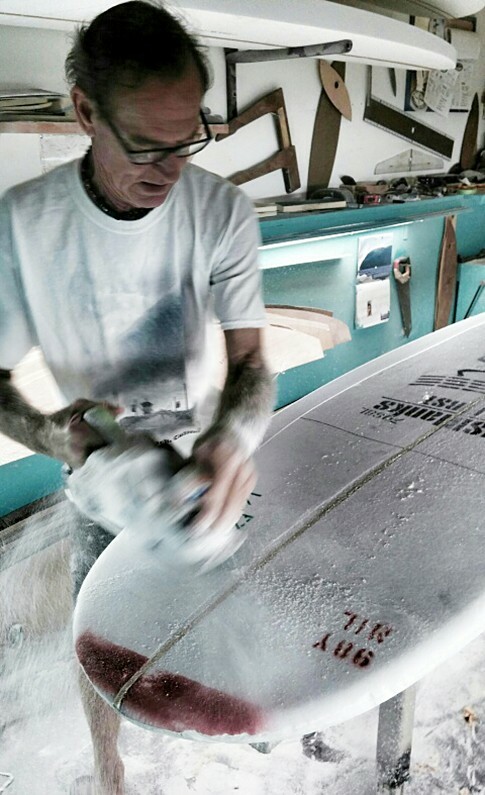 PHOTO: Shaping room. Courtesy of Robert August. 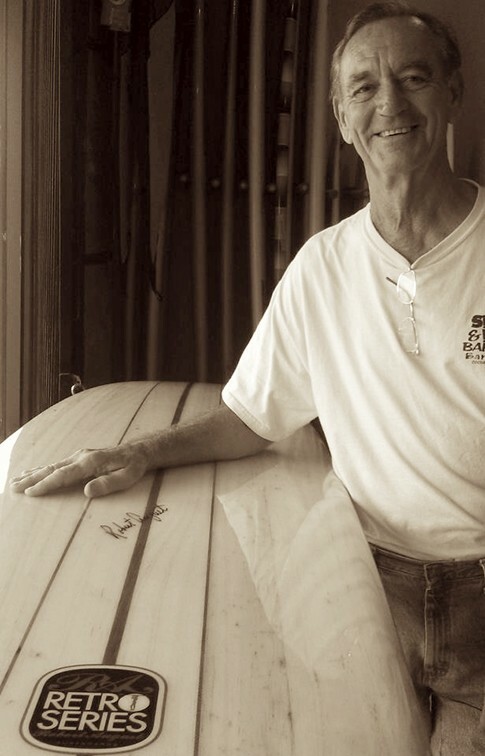 Beginning in 1965, August worked for Jacobs Surfboards in Hermosa Beach, first as a salesman and then as a shaper before becoming a freelance shaper in late 1966 shaping for Overlin, Petrillo, Plastic Fantastic, South Shore, Harbour, Chuck Dent and anyone else who needed him through the late 60’s and into the 70’s. 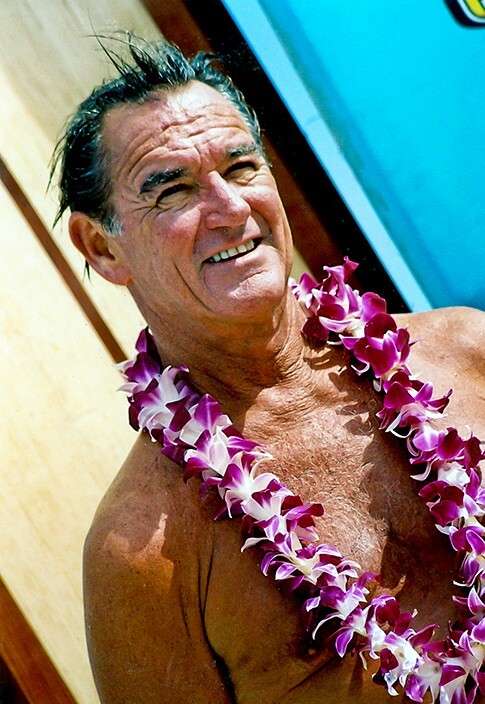 In 1971, he opened the Endless Summer restaurant, a business he later described to Longboard magazine as one that "set a world record for losing money." 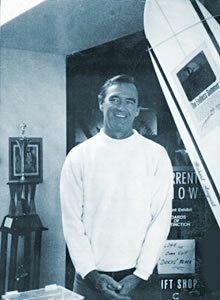 In 1974, he launched Robert August Surf Shop in Fullerton, California and relocated it to Main Street Huntington Beach in 1976. 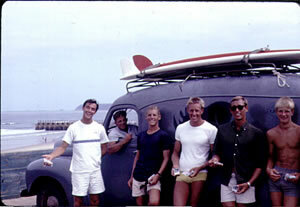 Stocked with shortboards because of their popularity at the time, Robert was still a longboarder at heart. 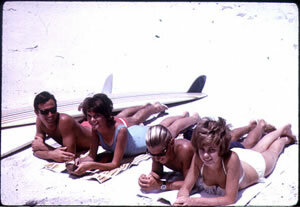 "In the '70s, you couldn't even find a longboard blank. I knew I wanted one, but I didn't know if they would sell. 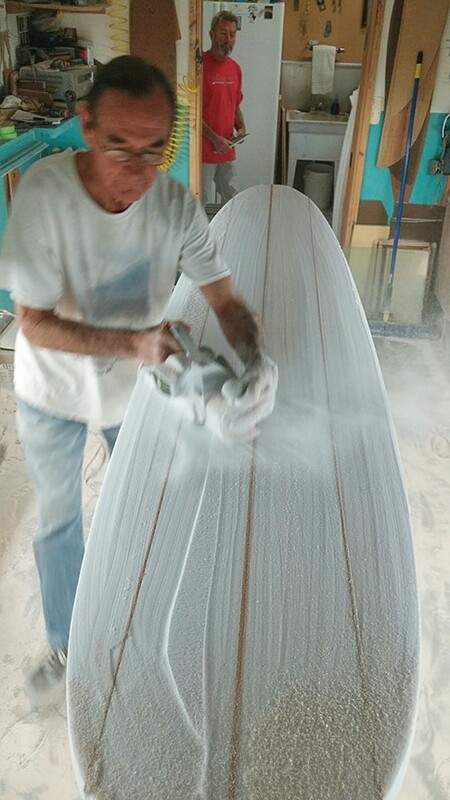 Finally, I made five of 'em and everyone came in the shop going, wow--a longboard!" 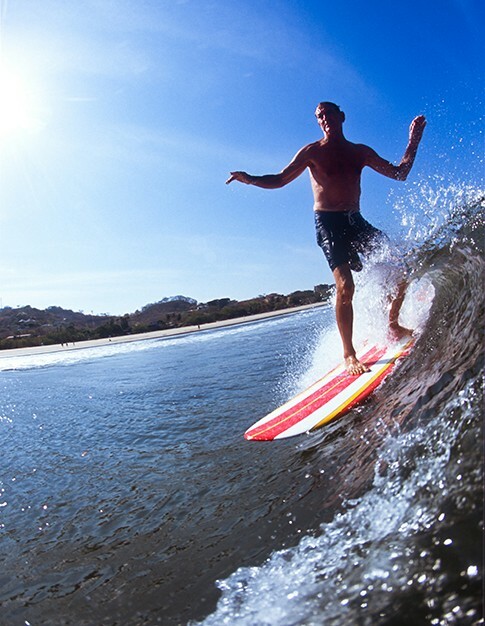 PHOTO: Robert surfing break in Guatemala. Courtesy of Robert August.